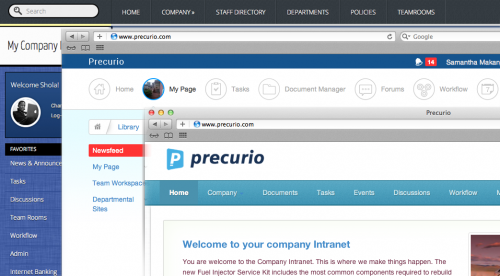 How would you imagine the perfect intranet solution? Would the intranet allow you manage all company documents and contents easily? Would it enable better workforce collaboration? Would it be a platform for future apps and integrations? Would it help you eliminate some manual forms and processes? Or would it be your way towards compliance certification? Create, discuss, Share; these are the basics of collaboration and we have gone back to these basics. With collaboration tools such as events manager, tasks manager, company forums, project workspaces, instant messaging and many more; Precurio is uniquely suited to jump-start your internal collaborative efforts. Reducing as much paper and manual process as possible is the dream of every technologist. This is because, reducing paper work is synonymous with improved business processes and more efficient ways of working. With Precurio’s simple workflow designer and approval system, we can help you achieve this dream. 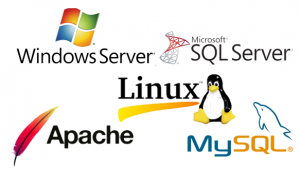 Where are all business critical documents stored? On laptops or external drives? How do users get the latest version of a document? Who manages the documents generated by a particular department? How do users share documents amongst each other? Precurio documents manager can help you with the right answers. The modern business has to be effective when it’s needed, regardless of where you are. With Precurio Anywhere, users can access documents and tasks or collaborate with team members from any device. Never be chained to a desk again. We always tell our customers, “everything on Precurio can be customized”. From the look and feel, to the layout, to the underlying logic, there is no limit to what you can achieve. The reason for our confidence is simple, Precurio is built on a very solid framework and architecture and you have full access to the source codes.